With a limited mintage of 50,000 coins, the 2014 1 oz Silver Kookaburra coin features the latest new design that is part of the series that changes design each year. 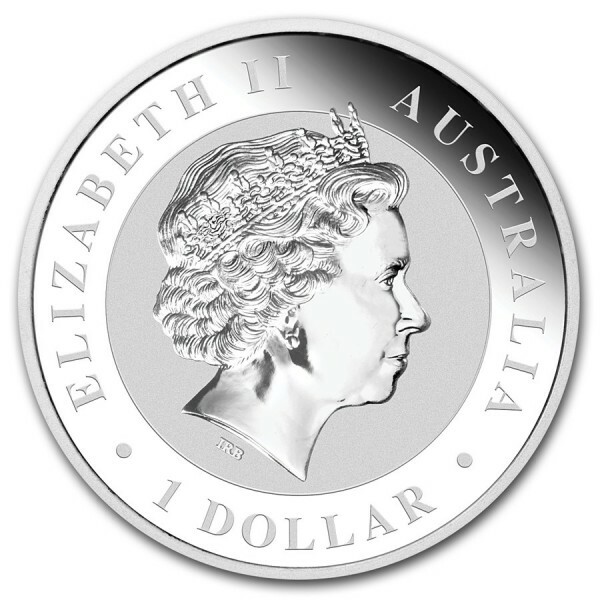 Celebrating the Lunar Year with Australian Silver is a popular way to invest in Silver. This Silver Kookaburra coin features a kookaburra sitting on a tree branch surrounded by leaves and bears a Horse privy mark that celebrates 2014's Lunar Year of the Horse. The Ian Rank-Broadley likeness of Her Majesty Queen Elizabeth II and the monetary denomination are shown on the obverse. The Perth Mint has issued a strict mintage cap of only 50,000 for these Silver coins, which means no more will be minted. Get yours while they are available! 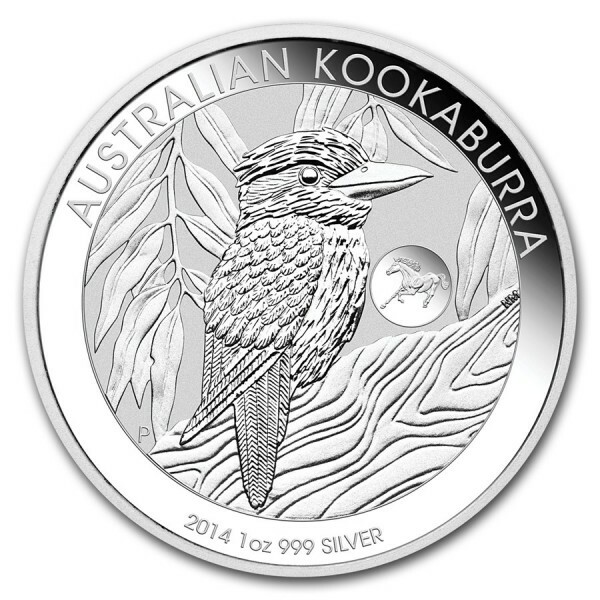 All Silver Kookaburra coins come in a plastic capsule, great for storage and protection.